← Life through my dogs’ eyes. 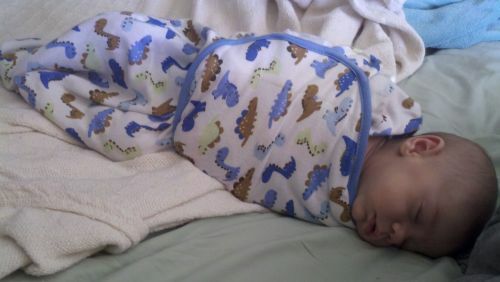 SwaddleMe’s: I loooove swaddling. It helps keep my baby’s arms and legs from flailing and startling him awake so he sleeps longer. It also reduces the risk of SIDS because there isn’t loose bedding around the baby. Regular swaddling worked for about the first week with Liam. He is a strong baby and started breaking out of that pretty fast. Then I learned about the “super swaddle” and life was AWESOME again! But only after a couple weeks of that, he already could wiggle his way back out. I saw these cute little wraps at the store called SwaddleMe’s. I tried them and they work perfectly! Same concept as the super swaddle, but full proof. Some nights I’ll even swaddle another blanket over this one and he will sleep for a very long time! I swaddle him before naps during the day also, and he will take three 1-2 hour naps! This is my number one favorite baby item. Baby carriers: I couldn’t live without mine! Liam refuses to be put down. He doesn’t like swings or bouncers or anything really for longer than 3 minutes unless he is in my arms! This makes doing pretty much anything difficult. But since I started using the carrier, my hands are completely free and Liam is still close to me. 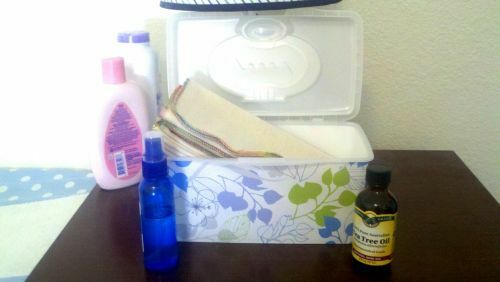 Doing chores or getting ready for the day is sooo much easier with this. We go on walks and even breastfeed using this carrier! 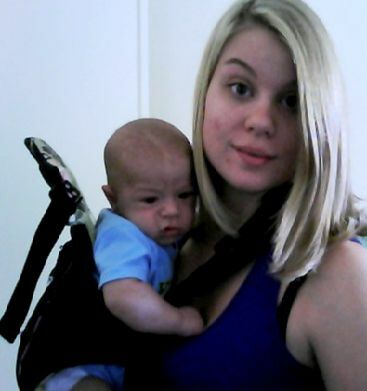 Mommy life is way better with a baby carrier.